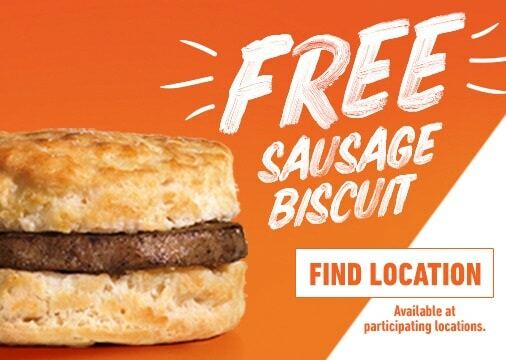 Stop by your local Hardee’s restaurant on April 15th from 7-10am to score a FREE Sausage Biscuit! Make sure you say “Made from scratch” when ordering to make it free. Find a local store here. Offer valid at participating locations only. Tax not included.